Nasarean.org | Latest News | Driver has new taxi! 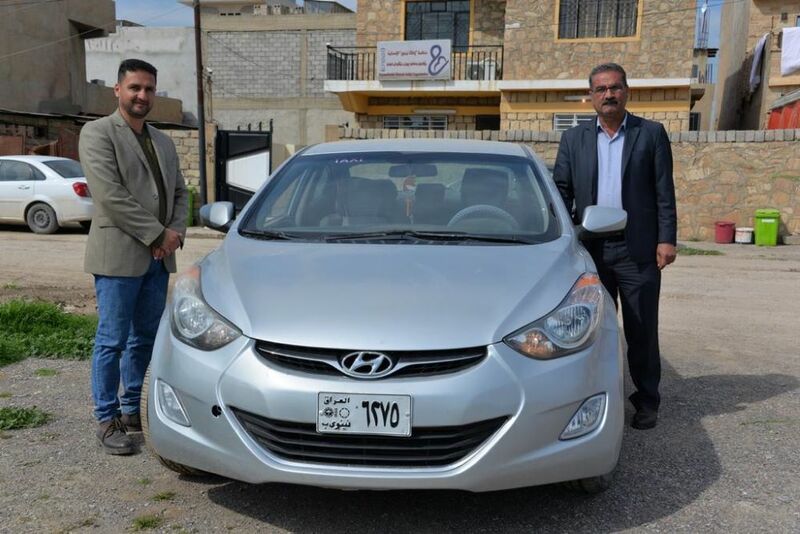 Thanks to your generosity, we have the joy of showing you Mr. Sabah Yousif with the new taxi that Nasarean.org was able to buy - enabling him to run a business and support his family. Once more our motto of “small is beautiful” helping persecuted Christians rebuild their lives!